It’s hard to believe, but Pokémaniacs have been trying to catch ’em all for two decades. Nintendo and the Pokémon Company are celebrating the 20th anniversary of Pokémon with a year full of new products, re-releases and huge doses of nostalgia around the world. 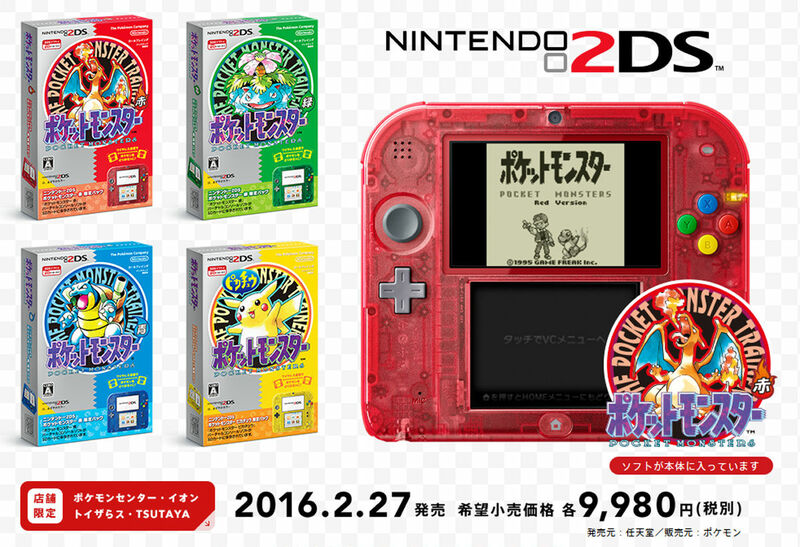 Up first is a re-release of the very first Game Boy games (“Red,” “Blue,” “Green” and “Yellow”), which will be available for purchase on “Pokémon Day,” Feb. 27, exactly 20 years since their initial launch. 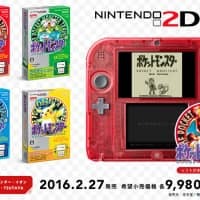 Trainers can download digital copies of the game for their Nintendo 3DS or 2DS, or they can buy a special edition of the Nintendo 2DS. The anniversary bundle comes with a colored, clear-plastic handheld system, a digital copy of the game, stickers, a town map and a code to download the legendary Pokémon Mew. Those wanting something a little more modern should check out the other games coming to the Wii U and smartphones later this year. If the original game’s 8-bit music doesn’t hold up, you can always hear an orchestrated version of the Pokémon soundtrack in person with the Pokémon Symphonic Evolutions concert. The North American show will feature a live orchestra performing many fan favorites from various entries in the series. Currently the website only features a listing for St. Louis of all places, but promises more dates and locations in the future. And when there is a Pokémon celebration, there must be gratuitous amounts of Pokémon swag. U.S. fans can buy a variety of 20th anniversary apparel, featuring a special logo, along with an updated version of “Pokémon: The First Movie.” There will also be limited edition trading cards, featuring some of the original Pocket Monsters, as well as Kyoto-themed toys to commemorate the newest Pokémon Center in Japan’s ancient capital. For some gamers, this will definitely pull up memories of watching the cartoon after school and demanding that Mom buy new batteries for the Game Boy. If you’re one of them, feel free to join the nostalgia fest with the #Pokemon20 hashtag on Twitter and Instagram. Post your favorite moments and memories from the Pokémon series, whether it’s Red picking his first Pocket Monster or watching your own kids join the Pokémon fandom. Users are also posting artwork and other DIY projects to the hashtag. So whether you did indeed catch them all or if you were just content with only Pikachu, the 20th anniversary of Pokémon celebration will have something to make you feel like a kid again.